Norfolk MP is calling for compensation for coastal homeowners whose properties have been condemned to the sea by a new report. Norman Lamb said a Government-backed plan, which recommends an abandonment of rural defences over the next 100 years, has caused “considerable anxiety” among his North Norfolk constituents. The shoreline management plan, which was first unveiled by the EDP last week will mean hundreds of homes, tourist spots, and acres of farmland, with a value of around £250m, will be lost as a result of a “managed retreat” policy. Mr Lamb is fighting the report and has written to environment minister Elliot Morley voicing his concerns and has invited officials from the Department for Food and Rural Affairs (Defra) to come and explain the policy to people living along the Norfolk and north Suffolk coast. He said if a campaign against the “do nothing” approach fails, he wants reassurances that residents will get compensation for their losses. “People that bought properties on the understanding that it was defended coastline have now had the goal posts shifted,” he said. 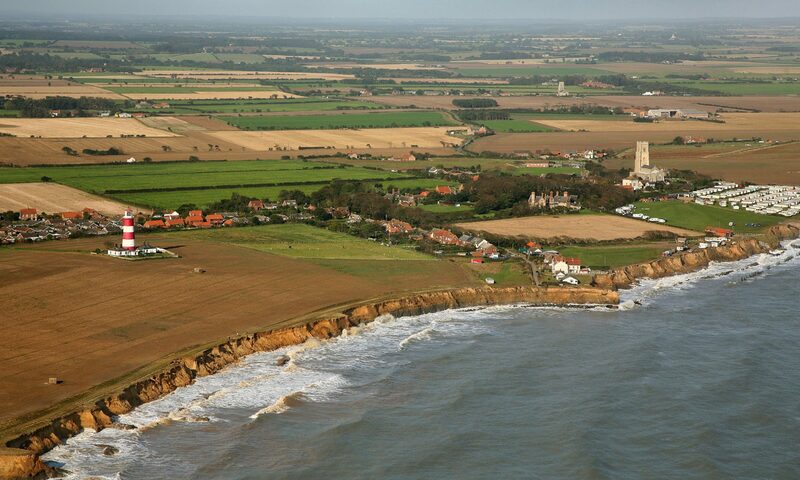 The management plan will only strengthen sea defences at larger coastal resorts but has already caused house price fears in villages like Mundesley, Happisburgh, Bacton and Winterton. Mr Lamb added that Norfolk coastal campaigners must team up with colleagues in other erosion threatened counties to protest against the “unfair” report. “I am acutely aware that we are finding a government with deaf ears so we need to pull our strength to speak with a united voice,” he said.